Hey Guys, Just thought I’d quickly shoot one more recipe your way before Father’s Day tomorrow. My man is in love with all things spicy, so the thought hit me to put a little spin on one of our all time favorite sandwiches. I resisted the urge to throw some jalapenos on there, being that it’s kind of a breakfast sandwich, and I felt that might have been a little too much. 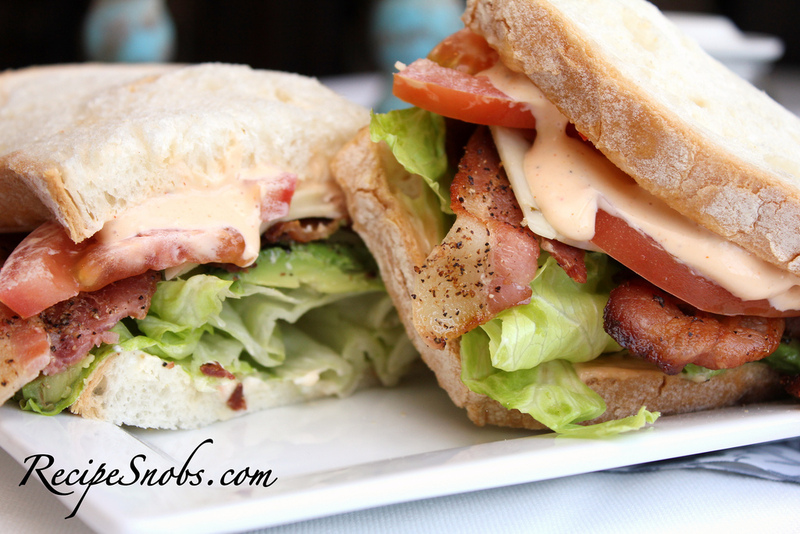 But the pepper jack cheese and spicy ranch does give a really yummy kick to this traditional favorite. Let me know what you think!! Enjoy your Saturday and Happy Father’s Day!! 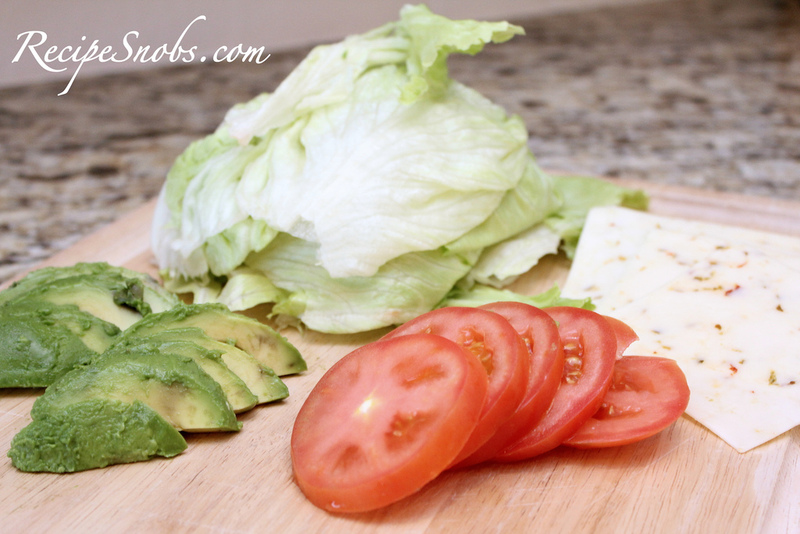 Prepare and slice tomatoes, avocado, lettuce, and pepper jack cheese. Set aside. 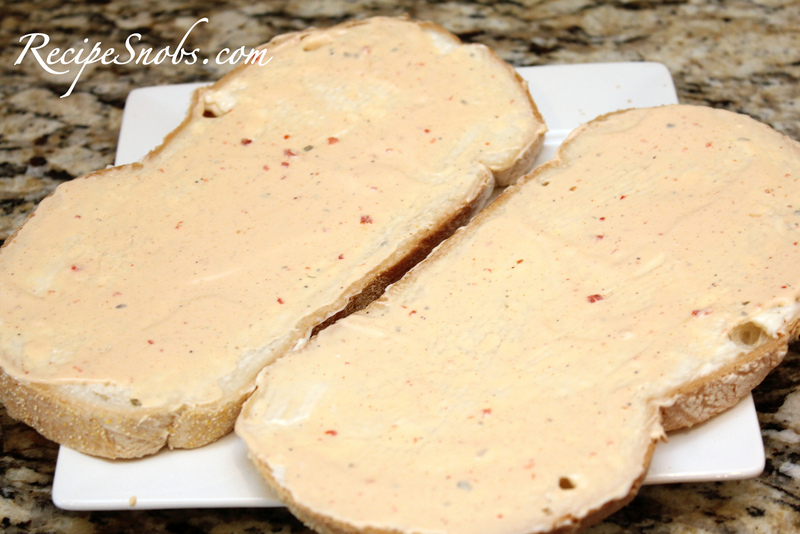 Coat 1 side of each slice of bread with first a thin layer of mayo, and then a little bit thicker layer of spicy ranch. Here is about what you want to aim for. Thicker then the mayo, but just enough to give your sandwich some pop. 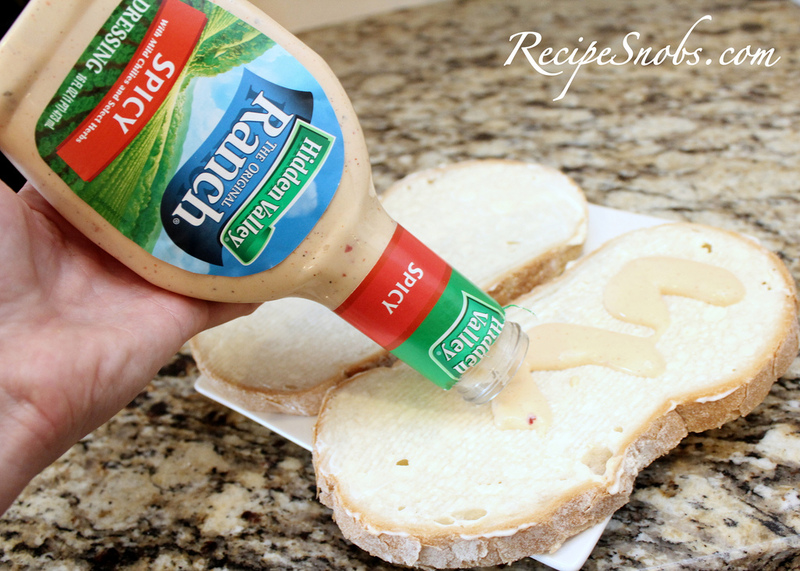 Probably about 1 tablespoon of mayo to 2 or 3 tablespoons of spicy ranch per slice. Set aside. 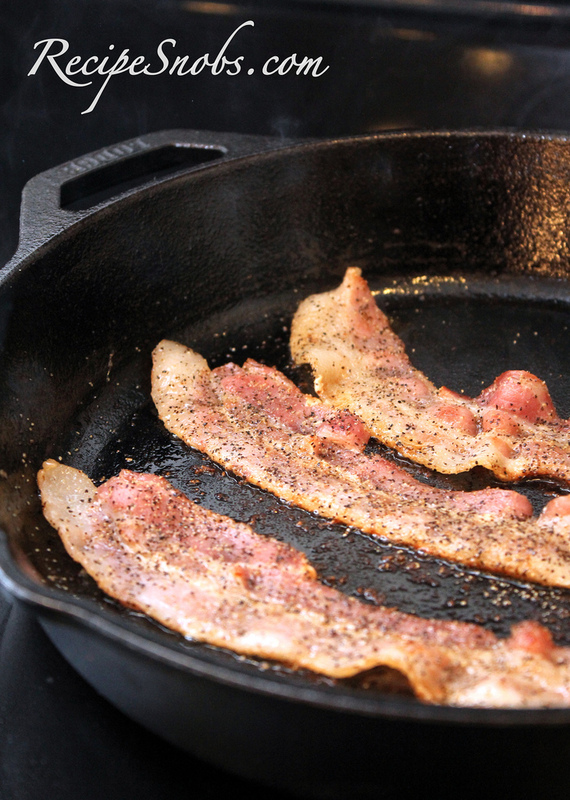 Begin to brown bacon over medium to medium high heat, seasoning each side with ground black pepper. Flip as needed. 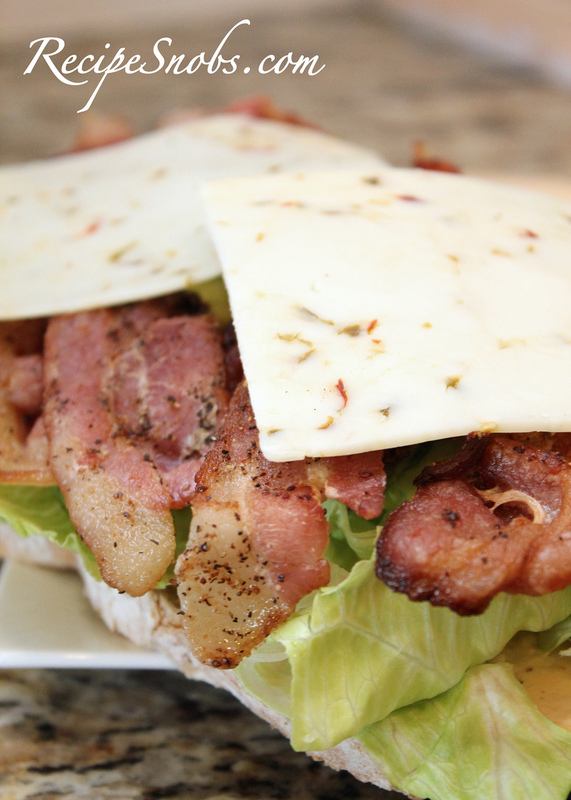 As bacon is cooking, start assembling sandwich by first layering lettuce over the bottom slice of bread. 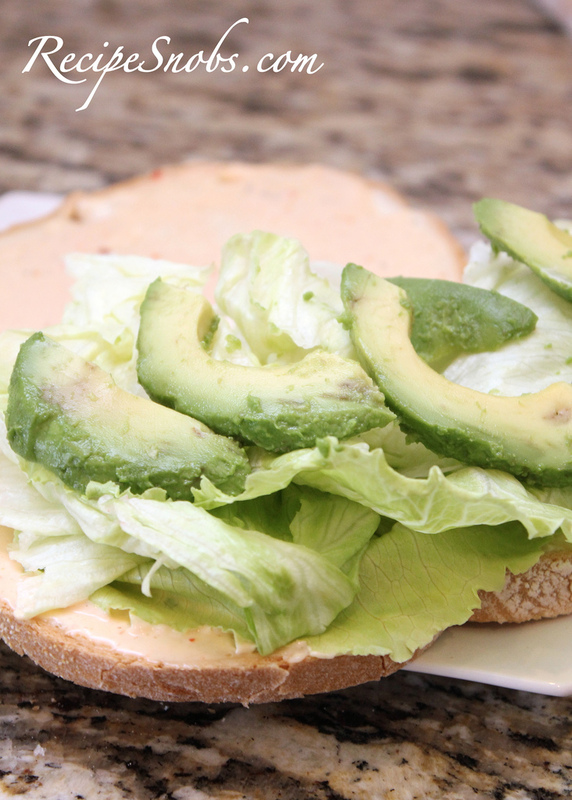 Then topping with sliced avocado. Set aside. Place cooked bacon onto a plate lined with paper towels. Pat off access grease then immediately place onto avocado slices and top with pepper jack cheese. Top cheese with tomato slices and add final slice of bread. Serve immediately while bacon is still hot.